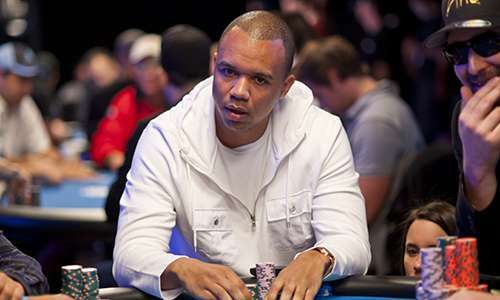 The legal team representing famed gambler Phil Ivey in a high-profile case involving an “edge sorting” scheme at New Jersey’s Borgata Hotel Casino & Spa is likely to head to an appeal, and sooner rather than later, according to the latest documents filed in the case. A month ago, Judge Hillman ruled the scheme through which Ivey and Sun profited to be a violation of New Jersey gaming law. Ivey and Sun’s complex edge-sorting scheme, wrote Hillman, changed the basic odds of mini-baccarat, making it instead a game of similar appearance that was not allowed under New Jersey gambling law. That basic point is just one of several points Ivey’s and Sun’s counsel plan to explore on appeal, once Hillman’s December judgment is finalized. This latest filing is an attempt to clear that road to an appeal, rather than being an admission of guilt by Ivey. In addition to the request to finalize the judgment, the motion by Ivey’s counsel also asks for a stay of the $10.13 million judgment, without any bond, and in recognition of the pending appeal. The filing by Ivey’s counsel infers — or “implicates,” as written — that the non-finalized judgment had been left that way to allow the Borgata and a third co-defendant in the original lawsuit, card maker Gemaco Inc., to refile or take action regarding that portion of the case. While ruling against Ivey and Sun, Judge Hillman threw out the Borgata’s claims against Gemaco, which the casino alleged had produced defective cards, thus allowing Ivey’s and Sun’s scheme to be successful. Gemaco’s counterclaim action against the Borgata was also dismissed. In addition to the two-page motion to Judge Hillman to make his December edict final, last week’s filing also includes an 18-page brief outlining why Ivey’s and Sun’s defense believe their appeal will succeed. 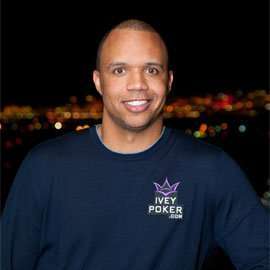 Perhaps the most intriguing detail, however, is that Ivey’s attorneys also plan to appeal the judgment on the grounds that the Borgata’s claims should have been time-barred. Per the brief, which Flushdraw has obtained, the Borgata’s counsel waited two years to file the civil complaint against Ivey and Sun, longer than allowed under New Jersey contract law for those counts in which Hillman ruled in the Borgata’s favor. Hillman dismissed other Borg claims, such as fraud and racketeering, which have longer limitation periods for alleged victims to seek restitution. Defendants have maintained since initially filing a motion to dismiss plaintiff’s cause of action that Borgata’s failure to plead the only viable legal remedy for relief barred its complaint. The Court has now found that all of Borgata’s fraud-based and RICO claims were without basis and has definitely ruled that its only basis for relief is the existence of the defendants’ illegal play by marking and therefore recovery from an unauthorized game under the CCA [New Jersey Casino Control Act]. Unlike the circumstances of Golden Nugget (another NJ gambling case cited frequently by both sides in these proceeds), where the casino filed its complaint within six months of its loss, Borgata’s complaint was filed April 2014, two years after defendants’ casino play. Plaintiff’s cause of action for breach of contract pursuant to an illegal and unauthorized casino game was barred by the applicable statute of limitation at time of filing. We’ll have more from this never-ending, high-profile case as events progress. The next hearing in the case is set for February 21st, in which this and other motions will be considered.